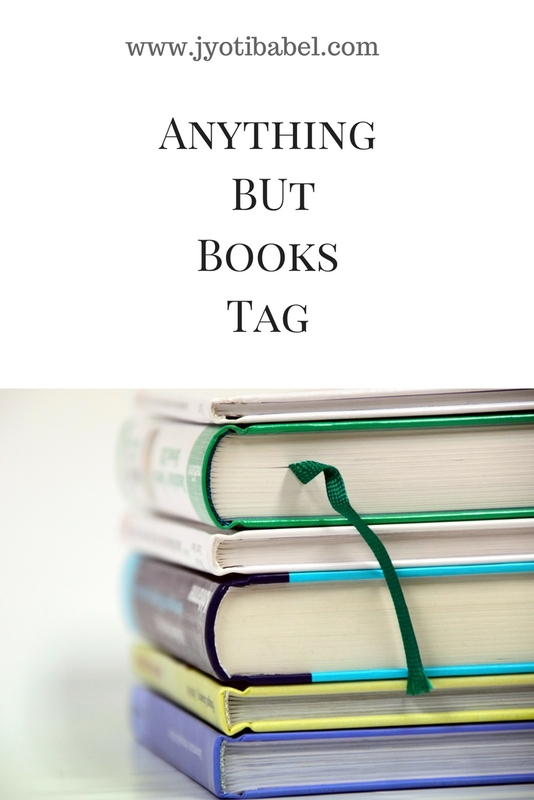 Long ago I had been tagged by my blogger friend Tarang for this interesting tag post – Anything But Books. For reasons unknown, I have taken almost an eternity to answer it. I took a blogging break in September when I went on my annual holidays to my mom’s place. After coming back, blogging has somehow taken a back seat and that is evident from the sparse posts I have done in the past 2 months. Anyways coming back to this tag post, there are some interesting questions that are not related to book in this tag and the tagged person has to answer it and pass it on to other bloggers. Let’s start now. Name a cartoon(s) that you love. As a kid, I loved watching Mowgli (Jungle Books), Duck Tales, and Tom & Jerry. I am somehow glad that in our times we didn’t have YouTube and had to wait almost a week to watch our favourite cartoons. That taught us to be patient and to value our precious Sunday TV hours. I am still a big fan of songs from the old B&W Hindi movies. I remember their lyrics too. Unfortunately, I am not very mindful when listening to songs these days – I can’t even recall the lyrics if you ask me. Generally, these days I listen to songs on Radio sometimes and I love the songs by Arijit Singh. But, no favourite song in particular. What could you do for hours (that isn’t reading)? Spending time on Pinterest and fantasizing about cooking flawlessly decorated cakes and exotic dishes. However, I seldom get enough time to do that. Maybe someday! What is something you love to do that your followers would be surprised by? I have nothing very surprising to share. But, there is something I like to do that I have seen not many people like to do – if my mood is set (of course not every day) I can spend hours in cleaning and organizing my kitchen and home. Yeah! What is your favourite unnecessarily specific thing to learn about (this can do with books, I guess)? I didn’t get this question. If it means what I want to learn - well there are a ton of things. I want to learn how to swim (Yes, I can't swim - maybe I will learn with Baby M), I want to learn to apply makeup (I am too bad at it and usually don't bother about it ) and many more things (the list would be too long if I went on writing). I thought really hard, but I don’t think I have any such special talent. Name something you’ve made in the last year (and show us, if you can). I think I can mention about some new dishes I have learnt to cook. Check out my Vegetable Biryani, Beets Brownie, and Tortilla Chips from scratch. I am working on my second blog. It is still in a work-in-progress phase and will most likely go live from January next year. Apart from food, I will be writing about a number other things that interest me. Tell us something you think about often (maybe while staring out of windows). I think my mind wanders easily when I am staring out of the window. Often the thoughts vary drastically – like sometimes I might be thinking about what to cook, and somedays I might be pondering over the philosophical nuances of life. Give us something that’s your favourite, but make it something oddly specific, not like your favourite food, but like your favourite food when you’ve been studying for hours and forgot to eat. Or, you know, something like that. Studying for hours and forgot to eat! Yes, that has happened to me in the past. But, I can’t think of any food item I would crave then. But, here is one thing oddly specific – when I am watching a movie in a movie theatre I want caramel popcorn. If that’s not available, I would rather not binge on anything else. I would like to pass on this tag to a blogger I recently discovered through Twitter – Anagha. If you happen to read this post, do check her blog too. Enjoyed reading your answers. You are right. People were more patient then. Everything instantly available has made us impatient. I'm amazed to see your love for cooking (I knew you enjoy it but you keep thinking about it is amazing). I don't enjoy cooking. First of all, a big Thakn you for tagging me and giving me the honour, Jyoti! Loved going through all your honest and interesting answers and got to peep into your life! Just be like that Jyoti... energetic, cheerful and honest!